Q. 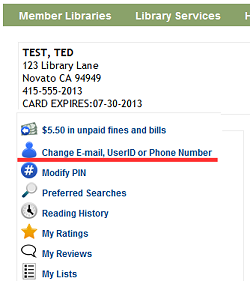 Can I create a user ID for my library account rather than using the barcode on my Penguin Pass? We have changed the "MyMARINet" login process so that the name box is no longer required. Click on "Change E-mail or UserID"
Enter the User ID you want in the box and click on "Submit"